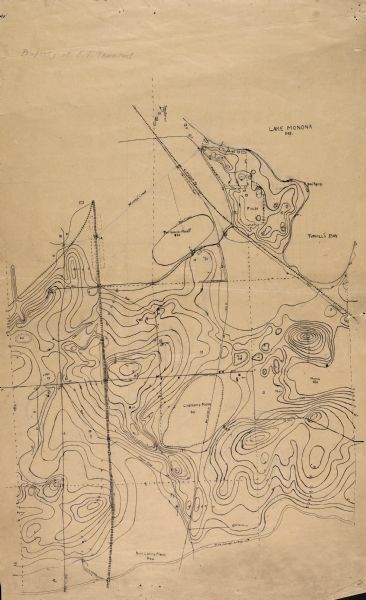 Topographical map of Turville Point and lands to the South to Nine Springs Creek. This topographic map was hand-drawn by Frederick Turville Thwaites. The words "Property of F. T. Thwaites!" were written on the map so that anyone could discern that this map belonged to him.